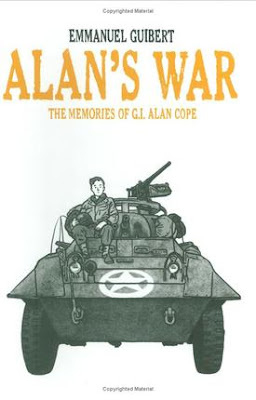 One of the best graphic novels I've read in awhile is Alan's War: The Memories of G.I. Alan Cope by Emmanuel Guibert (2008 from First Second Books). With some exceptions, many American graphic novel memoirs come from a new generation of talented cartoonists who are comfortable expressing themselves through comics. While many of these efforts are often praised for their frank honesty, they tend to also reflect the callowness and narrow experience of youth by being self-involved and introspective. Alan's War, a biography translated from an original French release, to some degree shares much with these autobiographical memoirs in that it features a young man trying to find his place in the world. The main difference, however, is that the soul-searching in Alan's War occurs during World War II (and a brief period during the post war), when there were larger, more important things occurring in the world around him. And, as with more traditional memoirs, it is told in retrospect with the advantage of hindsight and the passage of time. "The Greatest Generation" has received extensive attention in recent years, and been deservedly celebrated and honored. I suspect this is partly due to the yearning for an era when the world seemed morally less complex, as well as a desire to preserve the memories of a disappearing generation. Alan's War, however, defies what most would expect from the memoirs of a World War II vet. For example, the subject of the memoir, Alan Cope, seems to have actually seen very little direct combat (though no doubt enough action to remember for the rest of his life) since he joined the service towards the end of the war and was in training for an extensive period of time before going overseas. Cope also appeared to be unusually sensitive and curious for someone of his age and generation, with a special love for music and the arts. Though not fully explained, this leads to a gradual disenchantment with America and his realization that he has a closer affinity to European culture and its way of life, which leads to his settling down in Europe after the war. As a result, Cope is able to provide an atypical, intensely quirky and personal view of the second world war, a side not usually seen in literature about the Greatest Generation. His view of boot camp and training truly shows how much the military of the time was a citizen's army, and he speaks candidly about the intense friendships he develops with fellow soldiers, noted and emerging artists and thinkers, and European civilians, some of whom are pragmatic and accepting of the new world order, though remaining unrepentant deep down as Nazis. He recounts with vivid detail many of his personal experiences as a soldier. The book is written and drawn by Emmanual Guibert, a French cartoonist. According to the introduction, Cope befriended Guibert during the 1990s, and after beginning to share his stories with the younger cartoonist, agreed to allow Guibert to record his memoirs in comics format. Cope died before the French edition appeared. Guibart allows Cope to tell his story straightforwardly with little adornment but it's compellingly told. With its tender linework, the art is simple but powerful, and the gray wash evokes the era wonderfully for the reader. Alan's War is a fascinating memoir that provides an alternative view of the wartime era from a uniquely self-aware and original individual. Note: Alan's War was selected by National Public Radio as an NPR Best Graphic Novel of 2008. Last week, Diamond Comics Distribution, the primary major distributor still remaining in the comic-book industry, announced it was raising its benchmark in required minimum sales for publishers who the company distributes. This updates a policy first implemented in 2005, which I commented about here. Back in 2005, I was contacted by the Comics Journal for a reaction, and they quoted from my statement extensively. This latest announcement will no doubt lead to a further attrition of publishers in the industry, and no doubt also bring into the light the true difficulties and low sales figures many publishers are experiencing. Nevertheless, Diamond's latest announcement has drawn a similar measured response. While most seem to understand Diamond's prerogative to act as a business and put in place policies to limit their exposure to lower-selling titles that cost more money to distribute than they pull in, there are also those who feel Diamond has a responsibility, as the last-remaining major distributor, to assure access to the market place for smaller deserving titles. It's important to note that Diamond does not operate in a vacuum. Obviously, the economy is in bad shape, and there have been many reports that even the comics industry, from distributors, to retailers, to publishers—once thought to be immune to the fluctuations of the economy—are feeling an impact. In other words, one can't hold Diamond solely responsible for a continuing shrinking market when readers and retailers also play a role in promoting and supporting comics, as do the publishers who must be first and foremost in promoting their products in a crowded marketplace. Self-resignation is one reason the reaction has been relatively muted: it was easy to see the writing on the wall as far back as 2005 in terms of where the market has been headed. Another reason may also be because of the way the distribution model is changing due to new technologies. In the old days, comic-book stores were pretty much the only outlet for comics, so Diamond and the other distributors very much operated as gatekeepers to the marketplace. This, of course, continues to be the traditional method for widespread, national distribution, which probably provides the most profitable scale of economy. Nevertheless, Web comics and print on demand publishing has opened new outlets for creators to supplement distribution by Diamond or to bypass them completely. For now, comic-book distribution through Diamond still offers the best method of being able to profit as a publisher. But Diamond's new announcement will likely lead to a push to expand and develop innovative alternative methods of distribution, both for print products and, even moreso, digitally. Though I consider myself fairly "old school," I've recognized too that this is where the market is moving (especially for small publisher), and it's a move I've been exploring myself for awhile. After recently upgrading to an iPhone and exploring the device's full capabilities, I've finally decided to put my trusty Palm Zire 72 electronic organizer out to pasture. I'll miss my ol' Palm—back in the stone age, as my calendaring and personal information needs grew, I began using a personal organizer/Filofax to keep things in order. 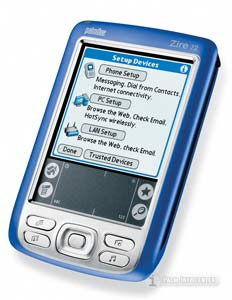 After several years, however, the inconvenience of having to re-enter information each year on a new paper calendar soon had me eyeing, then eventually upgrading to a Palm device (first the m100, then the Zire 72) where items obviously could automatically carry over year after year. I often described the Palm as essentially an electronic personal organizer, which had the added advantage of keeping all of the device's stored information synchronized with a desktop computer where I could back it up and also access and edit the data separately. In addition to the calendar, I used the Palm to store and track to-do lists, projects and, using an outstanding secure program called SplashID, a myriad of passwords and other private and confidential information for myself and my family like social security numbers, website and forum logins and passwords, etc. When I upgraded to my iPhone, however, I soon realized that my new device (which is as much a mini computer and personal organizer as it is a mobile phone) rendered the Palm obsolete and redundant. So rather than carry both a mobile phone and a Palm, I moved to consolidate everything onto the iPhone, which I always carried with me anyway. 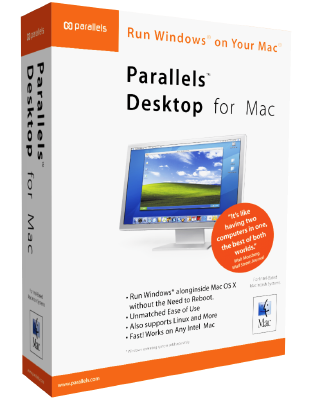 It soon became just a matter of finding the equivalent Palm applications in the iPhone apps store. 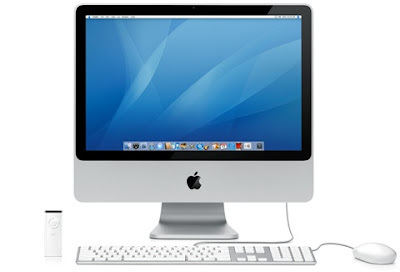 My main prerequisites were the ability to migrate my data easily from the Palm to the iPhone without having to re-key information manually; and the ability to access and sync the data on a computer desktop as well as the iPhone. Along the way, I played with and discovered several great apps and functions. For my to-do lists, I adapted Zenbe Lists, which syncs wirelessly from the iPhone to a personal free web account where I can also manage and edit my lists online. For longer memos and notes (this is where I keep running lists like films I've seen, etc. ), I installed gNotes, which wirelessly syncs my iPhone with Google Notebook, which is a free feature of my gmail/Google account. I already used iGoogle extensively, so adapting to Google Notebook was easy and convenient. Finally, for storing my logins, passwords, and other sensitive private information, I ended up simply using the same application I used for this function on my Palm, SplashID. SplashID appears to be the gold standard for such software (and I do recommend it), but the primary reason I decided to use it was because I obviously was able to simply import the data from my Palm to the iPhone version of SplashID. However, I must say there were a few minor technical hurdles I had to overcome for the software to work and sync with the iPhone. Honorable mention, however, must also go to Memengo's Wallet application. While SplashID provides a separate desktop application that wirelessly syncs over a wi fi network with the iPhone, Wallet provides a free web account that wirelessly syncs stored data with iPhone over the internet. (SplashID also is significantly more expensive.) This means you can access your data on your iPhone or from any desktop with Web access, and manage and edit the data there as well. (By the way, I should add that these password programs always require password access, so even if you lose your device, it theoretically can't be accessed). I actually found Wallet's iPhone interface to be to be more elegantly designed and organized. I've kept the Wallet app on my iPhone and have left the door open to fully migrate to it based on how SplashID pans out. In a future post, I'll be mentioning a few other apps—both on the iPhone and online—I can't do without! Continuing a tradition I began last year, below is a list of the films, books, concerts and shows I took in in 2008. As I have mentioned, being a parent with two young children limits my ability to see as much as I did in my single days. You'll see that I include films taken in on DVD and my TiVo, and seen in their entirely (usually uncut on a movie channel). 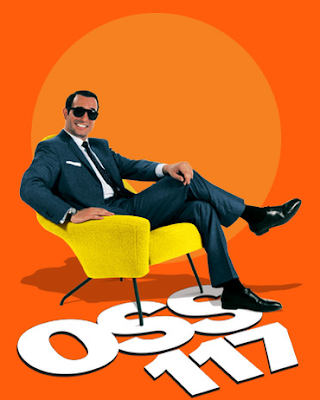 Among the best films I saw this past year include the French action comedy, OSS 117: Nest of Spies (promotional image pictured at right and originally reviewed by me here), Michael Clayton, and Iron Man. People also tend not to give animated films their due, but I believe that the crop of such films we've seen the past few years genuinely rank among the best scripted hands down. WALL-E, Bolt, Madagascar 2, and Kung Fu Panda were all topnotch. The worst I saw, either live action or animated was, hands down, Space Chimps. I took my children to see it, even though I could smell this one a mile off. Yes, it's for children (and despite the fact that my children usually exhibit some good taste, they enjoyed it well enough), but given the quality of animated features that broadly appeal both to children and adults, there's no excuse for a film this unbearably awful and third-rate. I'd also have to rate The Spirit, reviewed in my previous post, as among the most disappointing as well. 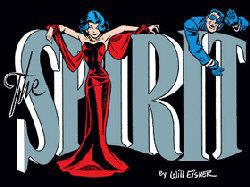 It doesn't seem fair to pile on top the bad reviews that the film adaptation of The Spirit has already received, but given how much I have written about the original series and its creator, Will Eisner, I would be remiss to not discuss the movie, which I saw the day after Christmas. 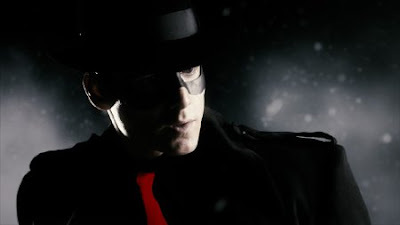 The film is written and directed by cartoonist Frank Miller, who in recent years has had two of his own comics work successfully adapted to the screen: 300 and Sin City. Credited for co-directing Sin City with filmmaker Robert Rodriguez, Miller chose Will Eisner's seminal Spirit for his directorial review. (Miller has flirted with a Hollywood career in the past, most notably as the screenwriter for RoboCop 2 and 3. 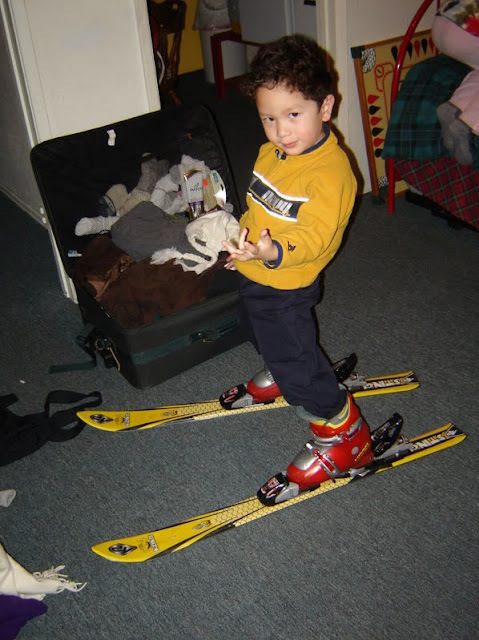 It’s an experience that until recently seemed to put him off pursuing a film career.) Miller is well known to be an ardent admirer of the Spirit and was deeply influenced by it. He had the fortune to become good friends with Eisner prior to the pioneering artist's death in 2005. By way of full disclosure, I must admit that, like many, I have been a bit put off by Miller’s recent work. The artist has seemed determined in recent years to up-end many well known comics icons in over-the-top efforts he has at times described as "satiric." These include his most recent forays back into mainstream comics, such as 2001's Batman: The Dark Knight Strikes Again (his follow up to 1986's Batman: The Dark Knight Returns) and more recently, the controversial All Star Batman and Robin the Boy Wonder. While it's possible that Miller may be trying to call attention to the absurdity and wish fulfillment inherent in the superhero genre, he hews such a fine line between grittiness and silliness, it's hard to tell how much of it you're supposed to take seriously, thus making it very easy to miss the joke. This is particularly difficult given that most comics fans take the characters and the storylines seriously—and Miller doesn’t seem very sympathetic to anyone who isn't on board to “get” it. Having said that, I certainly don’t bear Miller any ill will—as an artist myself, I respect Miller’s right to pursue his vision and admire the very personal path he has been able to establish for himself. At the same time, of course, fans and critics have the right to review an artist’s creative work, which should be based on the merit of the work at hand, and done in a thoughtful, fair and constructive manner. By the end of the film’s opening weekend (I saw the film the day after Christmas), it seems clear that The Spirit has fallen short by nearly all measures, having been widely panned by critics, arrived DOA at the box office, and for the most part been met with indifference (if not outright hostility) by both movie audiences and comic-book fans. Admittedly, a Spirit film always was going to be a tough sell: though admired and respected by insiders, it has little name recognition outside the comics world. 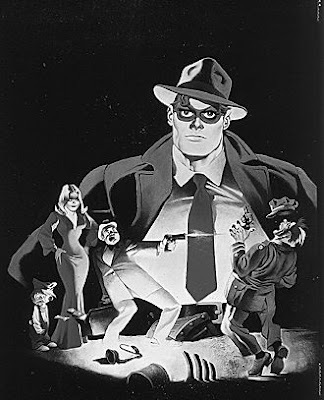 And though the Spirit has always had the advantage of always having been under the direct control of its original creator (unlike most franchised comic-book properties that are produced by committee), the series throughout its run featured widely divergent storylines and tones that each week could range from noir, high adventure, gritty urban realism, magic realism, to outright farce and comedy. Trying to decide which of these facets of the series to capture on film while remaining true to the work would have been a tall order for any filmmaker. The film no doubt got a green light on the strength of Miller's name and reputation in the wake of 300 and Sin City. “The Spirit” is mannered to the point of madness. There is not a trace of human emotion in it. To call the characters cardboard is to insult a useful packing material. For a property and character that most people will have little knowledge or identification with, Miller provides nothing for audiences to connect with at any level. Comics fans familiar with Eisner's series will likely find little to like while mainstream film audiences will just feel uninvolved. Known for his love of crime noir, Miller seemed intent on throwing into the script every line of hard boiled cliché but provides no context for them. Giving the Spirit an air of invulnerability (which was not present in the original comic), Miller goes over the top with the comic-book violence, reminiscent of a Warner Brothers cartoon. It’s clear that Miller was aiming for some kind of heightened comic-book reality with the film, but by refusing to give audiences anything to grab on to, and grounding most of the film’s reality in both high farce and familiar hard boiled noir, Miller is never able to really transport the movie to where he wants it to go or give it any strong voice. Ultimately, the film shows little regard for the series or the elements that made it so unique and successful. 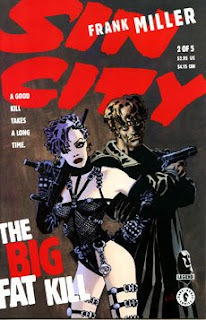 Rather than try to serve the material, Miller instead seems determined to obliterate Eisner's DNA from the series and filter it through his own love of crime noir prism. That being the case, one must ask why he bothered subverting the Spirit for this purpose rather than, as many have asked, simply do so with another Sin City film or another property more suited for this approach? The problem is, the Spirit was nearly never a particularly hardboiled series. 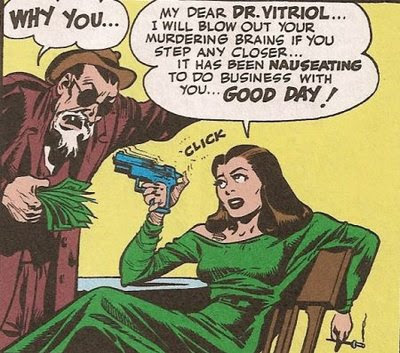 Though Eisner, who toiled on the series from 1940 through 1952, was working contemporaneously with the golden age of the genre, even when his weekly stories went in that direction on occasion, Eisner usually injected a lot of good natured humor into the proceedings, often in send-up. It's probably what has kept the series so timeless and accessible. These scenes, along with a briefly implied love triangle between the Spirit, Sand, and Ellen Dolan, offer a tantalizing glimpse into what could have been. Instead, however, like everything else in this movie, it's woefully underdeveloped and half-baked. I understand that comics need to be reinvented and changed for the big screen and to be relevant for modern audiences. Even when the initial trailers came out and the interviews with Miller about the film appeared—which early on raised red flags for many comics fans—I was willing to keep an open mind and reserve judgment until I saw the finished movie. I wanted the movie to be a success. And if the film somehow found a way to find an audience and bring the Spirit alive for a new generation of fans, I was open to whatever compromises the filmmakers decided were necessary to make the film work. Having the Spirit all in black wasn’t a deal-breaker; nor was the idea, on the face of it, of the Spirit being given superhuman healing powers because of the chemicals that, in the original comic-book, briefly put him in a state of suspended animation, leading many to believe he was dead, and which gave him the opportunity to fight crime incognito as the Spirit. At the end of the day, however, a bad movie is a bad movie, and there are no two ways around it. And critics, comics fans, and general movie audiences all seem to be in consensus on this.